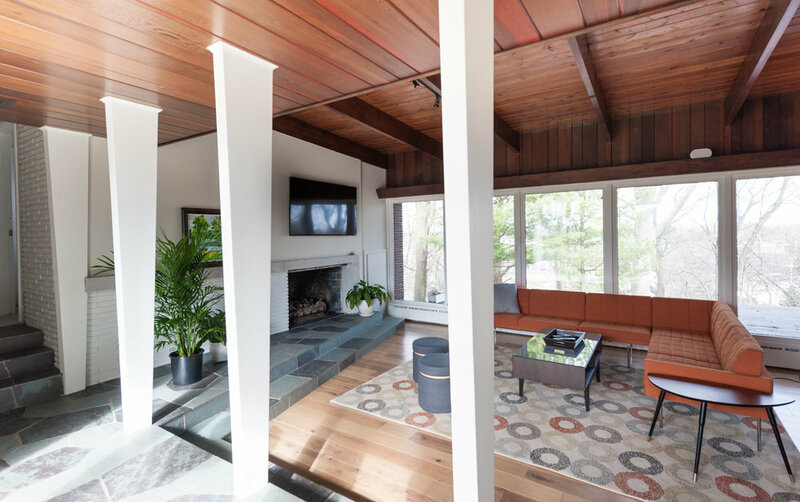 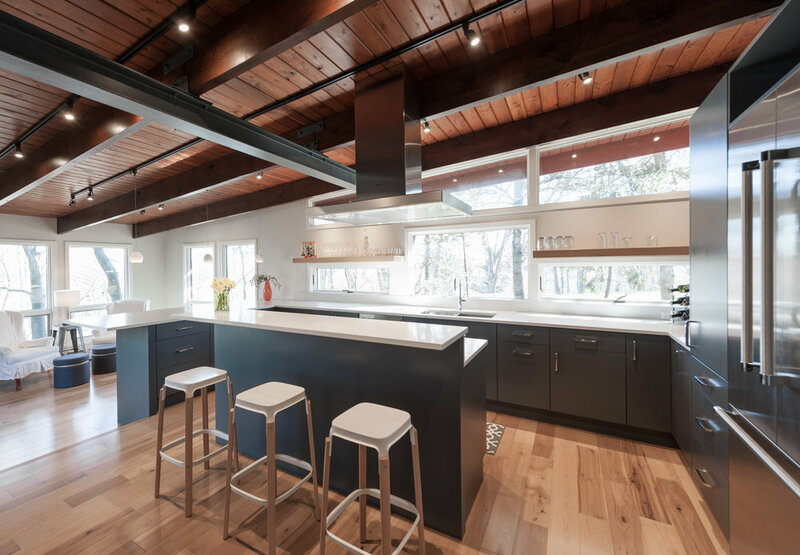 Remodeling can be a smart option for clients who are generally happy with their house but desire certain changes to increase livability or resale value. 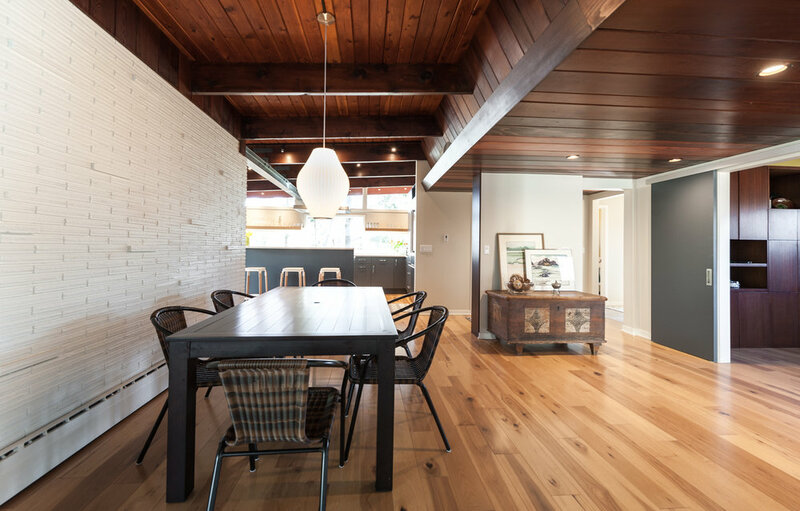 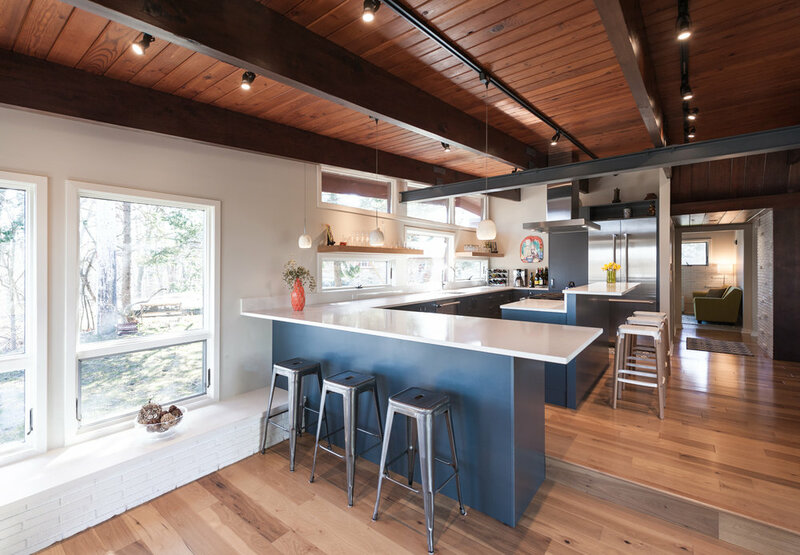 This midcentury modern home’s original kitchen was sequestered away – a throwback to days when formal dining rooms were the centers of social activity and cooking took place of sight. 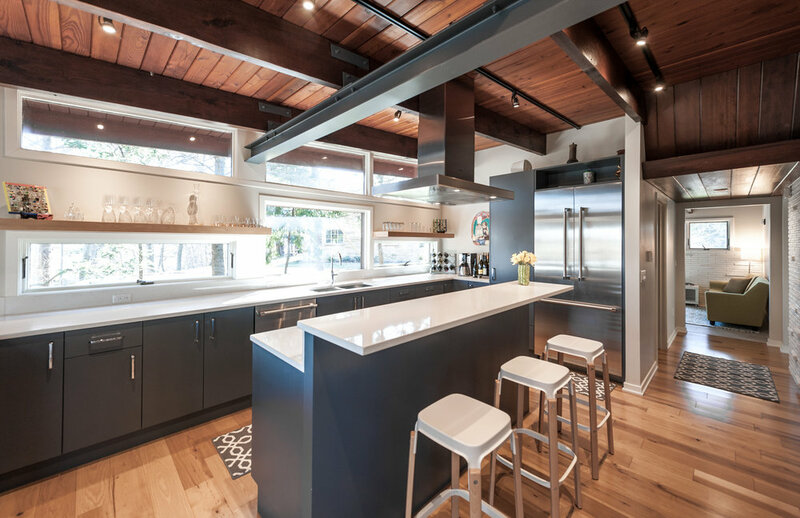 Contemporary kitchens, by contrast, utilize features like islands and open floor plans to function as social hubs before, during and after food preparation. 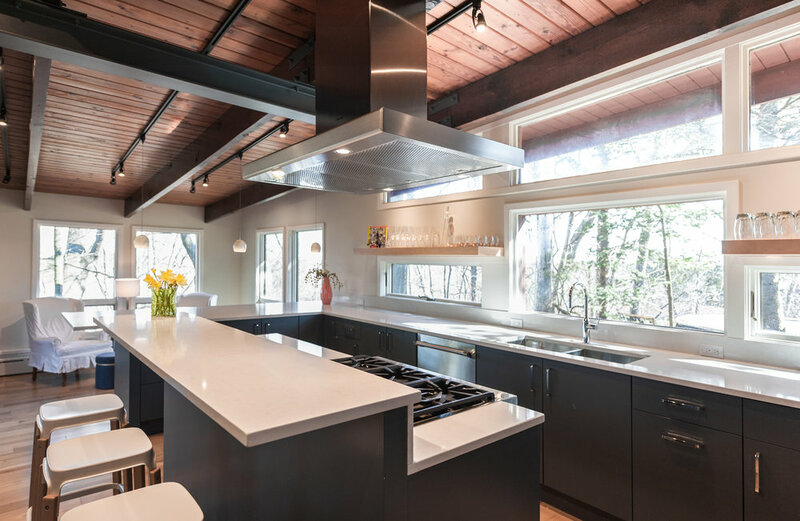 We relocated, centralized and expanded this home’s kitchen, as well as renovated the dining/sitting area, living room, pantry and powder bath, to update the residence for today’s occupants.